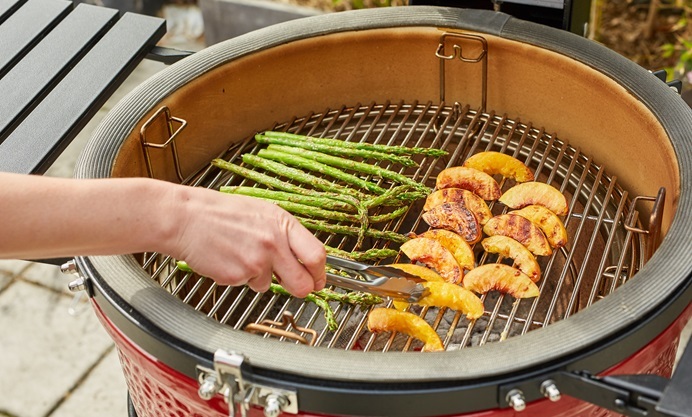 This barbecued salad recipe sees nectarines and asparagus charred on the barbecue to create a refreshing, complex flavour. 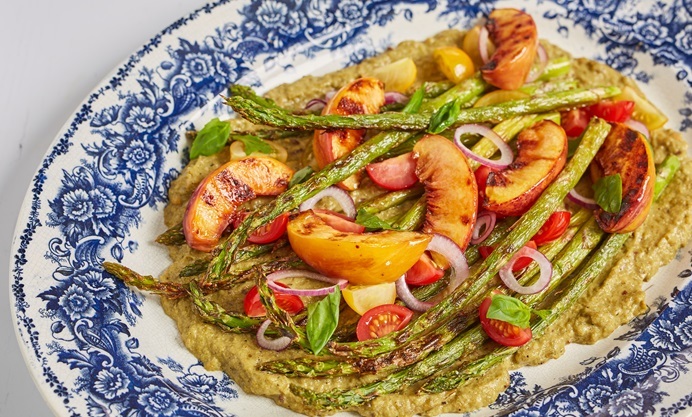 The green romesco sauce is smoky, sharp and pleasingly bitter, helping to bring the whole dish together. This twist on romesco sauce sees green instead of the usual red peppers being charred and blitzed into a silky, punchy sauce. 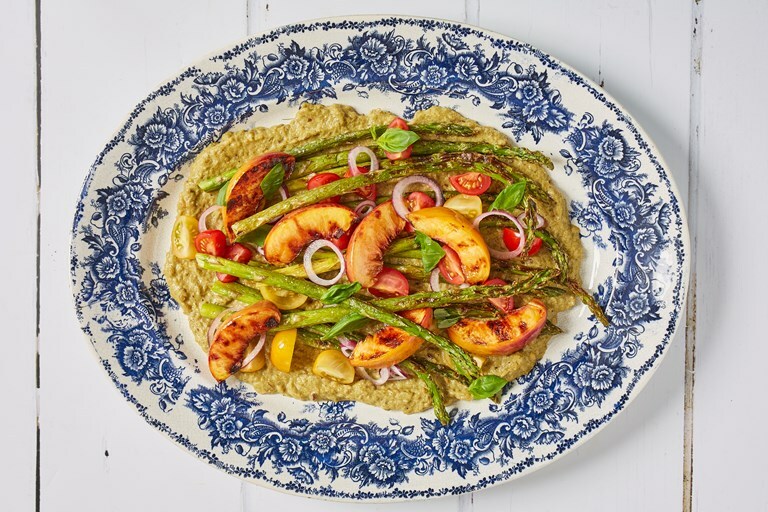 Here it provides a hearty base for a summery barbecued salad but could also be loosened with a little more oil and drizzled over charred leeks or spring onions as is more traditional. This salad is completely vegan, but goes nicely with some salty feta or torn mozzarella if you fancy it.